The Huskies take their seven-game winning streak to Oregon, where they have lost seven straight and haven't won since 2010. The Ducks have beaten UW in their past six matchups. Records: UW (14-4, 5-0): Oregon (11-7, 2-3). Scouting report: Washington is riding a seven-game winning streak, following a 71-52 win over California last Saturday. It’s the most consecutive wins since UW won 11 straight to start the 2014-15 season. … The Huskies are 5-0 in the conference play for the first time since the 1983-84 season when they started 7-0. … Four of UW’s five Pac-12 wins have been by 16 points or more. … UW has shot 50 percent or better from the field in 3 of its 5 Pac-12 games. … Oregon and Washington rank first and second in the Pac-12 in scoring defense allowing 64.9 and 65.0 points respectively. … Over the past two seasons, the Huskies are 16-2 when Dominic Green hits at least 2 3-pointers. … Matisse Thybulle, who is one of 15 players nationally named to the watch list for the Naismith Defensive Player of the Year, is the only player nationally to average 2.7 steals and 2.3 blocks. … Oregon lost 78-64 at Arizona State last Saturday. Two day earlier, the Ducks won 59-54 at Arizona. … Oregon freshman center Bol Bol, a preseason Pac-12 MVP candidate, played just nine games before suffering a season-ending foot injury. … Ducks sophomore forward Kenny Wooten, a preseason Pac-12 Defensive Player of the Year candidate missed nine games due to a fractured jaw and returned last week. … Due to the injuries, Oregon has used 10 starters and six linueps, which is the most since the 2009-10 season. Key matchup: With Bol and Wooten sidelined by injuries, White has scored in double figures in six straight games and eight of the past nine contests. UW’s Noah Dickerson averaged 16.0 points and 9.5 rebounds against Oregon last season. Coach: In his ninth year with at Oregon, Dana Altman has a 221-90 record needs 15 more wins to become the school’s all-time winningest coach. … Altman has a 631-333 record as a Division I coach, which includes a 16-year stint (1994-2010) at Creighton (327-176) and a four-year tenure (1990-94) at Kansas State (68-54). … Altman is one the 34th NCAA Division I coach to reach 600 career wins all-time. He is one of 12 active coaches with 600 wins. … Altman is one of six active head coaches in NCAA Division I who has posted a winning record record for the last 21 consecutive seasons (the other five are in the Hall of Fame). The series: Washington has a six-game losing streak against Oregon, which is the longest in the series in the past 80 years. The Huskies’ last win over the Ducks was an 85-77 victory on Jan. 18, 2015. … UW has lost the past seven games at Oregon. … The UW-Oregon series began in 1903 and the Huskies lead 189-115 all-time. … This will be the 305th meeting between the teams. Last meeting: Washington trailed by double digits for most of the game before pulling within four points in the final four minutes, but couldn’t get any closer and fell 72-64 on March 3 last year. Dickerson finished with 18 points and Jaylen Nowell had 12. Payton Pritchard tallied 14 and White 13 for Oregon. 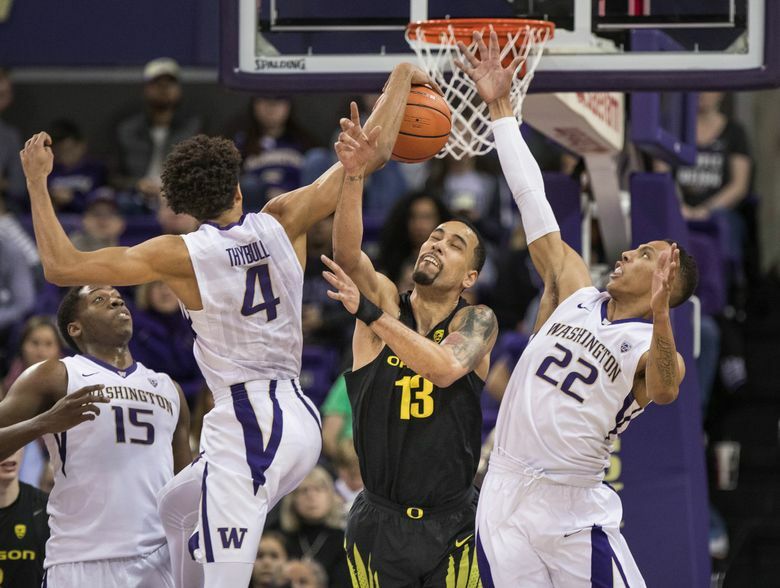 … On Feb. 8 last year, Oregon clobbered Washington 65-40 at Matthew Knight Arena, which was the third fewest points for the Huskies in modern history. The UW record for scoring futility is 37 set in 1970.